Early in my career, I wrote several novels inspired by Oregon’s stunning scenery. I’m thrilled that three of these books are now available again in one volume, with a new title, Ruthless. Best of all, here you’ll meet three of my favorite heroes: Attorney Jake McGowan, world-class skier Gavin Doel, and developer Brandon Scarlotti. Each is as rugged and memorable as the landscape—and as intriguing as the women they can’t forget. Jake couldn’t feel much sympathy for the woman who’d married his wealthy, despicable, sworn enemy. But now that she was embroiled in a child custody battle, he would help her—and relish getting sweet revenge against her ex. . . . Superstardom hasn’t helped Gavin get over his first love, or the way she inexplicably left him. When he returns to Taylor’s Crossing and finds himself facing her, his bitterness is impossible to hide. 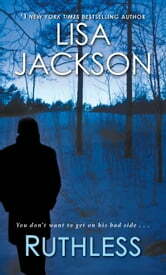 But he’s determined to unearth the buried truth of their past. . . . No family, no strings. Except for his professional success, little has changed for Brandon since he left Rimrock—including his feelings for Dani Stewart. Now that he’s back, maybe he’ll discover what went so wrong between them. But what he doesn’t know will change both their lives forever . . . If you enjoyed my previous collection, Revenge, then I’m sure you’re going to love Ruthless! Fantastic read. I would highly recomend this book to all readers especially to those who enjoy Lisa Jackson. I really enjoyed all three stories in tbis book. Good romance novels and an easy read.